Majahlet “Collette” Alano Sibal, director and owner of San Marino Dance Academy, received her Bachelor’s degree from San Diego State University. Collette developed her love of dance from her director Selina Soo-Hoo Chi, who was an accomplished dancer, professor and now Executive Director at East Los Angles College Foundation. Her professional career has included performing with the Joffrey Ballet, Los Angeles Classical Ballet, Chinese Dance Colletive, SMDC, Z90/Pepsi Dance Team, and salsa group Soundmasters. She has successfully nurtured and developed hundreds of dancers over the past 18 years, many who have gone to prosperous careers in the areas of dance, music, acting, teaching and choreography. Her teaching hi-lights include Harvard University, Caltech, Pierce College, and San Diego State University. She has organized dance performance tours in California, Florida, Texas, Chicago and Europe. She as judged dance talent and scholarship auditions on both regional and national levels throughout the United States. Most recently her dancers were featured in the “ABC Disney Parks Christmas Parade”. Collette has an obvious love for teaching and is thrilled to be directing a studio that is known for its dedication to excellence, artistry and positive environment. Katherine Cheng is a Los Angeles based dancer who has been dancing for the past 18 years, and recently graduated with a BFA in dance from the University of Arizona. She has trained at competitive dance studios such as Northern Force Dance Company, and has also studied in the Pre-professional program at TU Dance center as well as at Saint Paul Conservatory for Performing Artists. Being at TU allowed her to train with current and past members of Alvin Ailey Dance Theatre and Alonzo King LINES Ballet. Katherine has also performed all around the Twin Cities in Minnesota. She has had the honor of performing the pieces “Earth”, and “Isms” choreographed for TU Dance Company, as well as “To Have and to Hold”, from the Shapiro & Smith Dance repertoire. Among other things, Katherine has also performed in the Carlson fashion show, "Off the Rack", Club Jete, at the Alumni of the Year Awards at the University of Arizona, and in the most recent television commercial for Hughes Federal Credit Union. Katherine can also be seen in Little Scream’s new music video, “Love as a Weapon”, and is currently a member in Marinda Davis' LA based company, "MarInspired; The Storytellers". She has also taken her dancing to different countries. This past winter, Katherine was able to perform in a cultural outreach project in Nogales, Mexico. Katherine has also performed her own choreography and assisted former Giordano Dance Chicago company member, Sam Watson at the Kiel International Festival for Dance and Rhythmic Gymnastics in Kiel, Germany (Kieler Woche). She has also assisted at the Bolzano International Dance Festival & Workshop in Bolzano, Italy. While in Europe, Katherine was asked to teach several different contemporary workshops at studios in Germany such as, Minkov Tanzakademie and Rytmiko. ​Katherine also enjoys teaching and choreographing for various different studios in Minnesota, Arizona, and Los Angeles, and has created many top scoring pieces with numerous choreography awards. She is also a member of The Riveters Crew, and The Drop Fam crew. She truly has a huge passion for dance and choreographing, and is eager to continue furthering her training and career. Annie's training began when she was five years old at Alhambra Park and Recreation, where she danced through grade school. She also trained with Cheng Pei-Pei in Chinese dance and toured with her company in Hong Kong when she was thirteen. Next was Hollywood; Annie won a four-year scholarship from the Professional Dancers Society with Joe Tremaine, Karon Brown, and Paul De Rolf. Annie was also honored by the Inner City Cultural Center who chose one female and one male to be on merit scholarship with the Alvin Ailey American Dance Theatre in New York City. She trained with the Alvin Ailey company members and studied with Judith Jamison. Annie is the first Asian-American to become a Laker Girl for the world champion Los Angeles Lakers basketball organization. She cheered for them professionally for three years and taught at their workshops. She is an honoree of the Chinese American Historical Society for her participation as the first Chinese American cheerleader for both the Lakers and the Los Angeles Rams. Annie has cheered for many of the major sports teams in the Los Angeles area including the Kings and the Lakers. Annie is also an actress doing regional theatre across the country. She has performed at The Public Theatre in New York, Seattle Rep, Berkeley Rep, South Coast Rep, and here in Los Angeles at the Mark Taper Forum, East West Players, and Cornerstone Theatre. She was also an aerialist with Dream Circus performing Tissu. Annie was last seen dancing the part of Eliza in the King and I for the Fullerton Civic Light Opera. In the spring of 2011, Annie became an instructor of dance specialties at East Los Angeles College teaching traditional Chinese Dance and Hula. Annie has been awarded numerous Certificates of Recognition from the California State Senate, California State Assembly, City of Monterey Park, and the County of Los Angeles for her dedicated service and achievements in the affairs of the community as a dancer. Annie is proud to be currently serving as an officer for the Chinese American Citizens Alliance and was the co-emcee at this year’s Centennial Gala celebration. Michael has been dancing since the age of eight at San Marino Dance Academy. He graduated from Don Bosco Technical Institute in 2010 and is currently continuing his education at East Los Angeles College. He is heavily involved with the Dance Discipline at ELAC as a member in the Let’s Dance Company (LDC) as well as Vice President of the Dance Discipline Club. Michael has been able to travel with the LDC to many places including Austria, Germany, and Italy. In the summer of 2009 Michael toured with Young!Tanzsommer throughout Austria dancing at venues throughout the country. Over the winter break he traveled with the LDC to New York City to visit the Alvin Aliey American Dance Theatre and participate in master classes with Troy Powell and Robin Dunn. Michael has not forgotten his roots at San Marino Dance Academy and has returned as an instructor instilling his passion for dance with his students. Jasmin took her first ballet class at the age of three and immediately fell in love the beauty of dance. She grew up in Marietta, GA and trained in ballet, jazz, contemporary and modern. She began seriously studying ballet at the age of 12 upon acceptance to the North Carolina School of the Arts. Over the years she has also trained with American Ballet Theatre, the Orlando Ballet and the Rock School of Dance Education. At the age of 15, Jasmin left home to continue her training at the prestigious Nutmeg Conservatory of the Arts in Connecticut. There, she was fortunate enough to work with a number of incredible choreographers such as Elearnor D’Antuono, Victoria Mazzarelli, Moses Pendleton, Alexi Tchernichov, and Kirk Peterson. While attending Nutmeg, Jasmin was fortunate enough to perform for Pope Benedcit XVI at Yankee Stadium with the cutting edge contemporary company, Momix. Upon graduation Jasmin relocated down to Orlando, FL where she continued dancing and performing. Jasmin moved to Los Angeles in 2011 and since then has signed with the Movement Talent Agency to begin her career in commercial dance. She has been lucky enough to perform with a number of the leading choreographers in the industry such as Christopher Scott and was honored to work with him at the Teen Choice Awards dancing with the famed pop group Paramore! She can also be seen on the popular TV show Glee. Jasmin has also choreographed and performed with the Bollywood fusion company Karmagrpahy and can be caught performing with them all over the country. Most recently she performed at the International Fashion Film Awards. 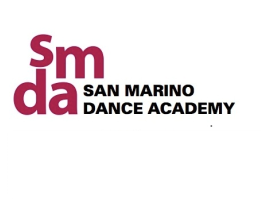 Jasmin has really found a passion in sharing her love of dance and is thrilled to continue that with her students at San Marino Dance Academy! A native of Pasadena, Myra Joy Veluz, also known as Ms. Joy, began her dance career at the age of eight at San Marino Dance Academy. At age nine she was the youngest member to join the Senior Ballet and Jazz Company at SMDA. Her love of being on stage also led her to perform for shows, including but not limited to, 2by2.net’s All Star Summer Jam, San Diego State Aztec Basketball’s Half Time Show, the LA Choreographers Show, and the YoungTanzsommer Lunaris European Tour with the Let’s Dance Company under director, Kimberly Brown Rabins. After the completion of the tour she then attended the University of California, Santa Barbara where she trained and performed under the direction of faculty members such as Jerry Pearson, Christopher Pilafian, Valerie Huston, Nancy Colahan, and Mira Kingsley. In 2008, she was honored with the opportunity to study abroad at Cambridge University in the UK where she found a deep love for visual art and traveling. In her senior year her work titled, Le Canibal, was selected as part of the company’s touring repertoire and was presented at the Undergraduate Research and Creative Arts Colloquium, thanks to a grant provided by UCSB. In 2010, she graduated with her BFA in Dance, BA in Sociology, and minor in Anthropology. Prior to graduate school, Ms. Joy re-joined the Let's Dance Company at East Los Angeles College where she performed and taught annually until 2014. At the end of the 4th season, she moved to Tucson, Arizona to pursue her graduate studies at the University of Arizona School of Dance where she is currently located. She is an active Graduate Teaching Assistant and is also heavily involved with the Graduate and Professional Student Council (GPSC) at the U of A. During her down time away from school, Ms. Joy loves “studio hopping” at the BodyWorks Pilates studio in Tucson where she recently received her mat license and Pop Physique San Marino where she and her brother, Mr. Mikey, teach “Veluz mash-up classes”. She is looking forward to graduating with her MFA in May and seeing what adventures come her way. Tony graduated from John Burroughs High in Burbank, CA and immediately after began directing their dance team and contributed to several national titles. He soon after was awarded a full scholarship to AGDC scholarship program and trained under industry professionals. Since then, he's been able to gather experience as a working dancer on stage and film with local LA artist (X Factor winners Alex & Sierra, & Young The Giant) and international artists from the Asia (Pokwang & Coco Martin), He's performed internationally on a tour through Russia and has recently finished a commercial for a clothing brand. Currently, he founded and directs a youth performance group called The Riot. He hopes to share the same passion for dance that first inspired him.